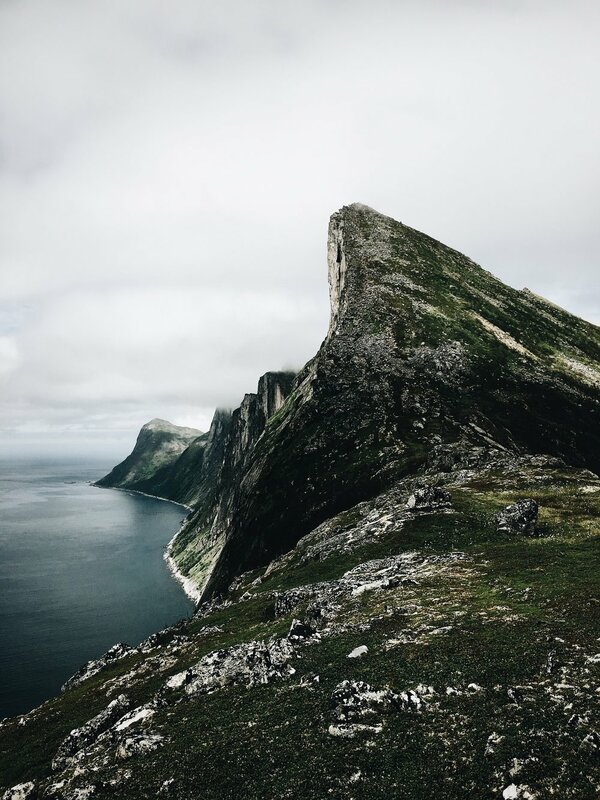 Our favourite type of hiking in Norway are the hikes to mountain tops or the ridge hikes. 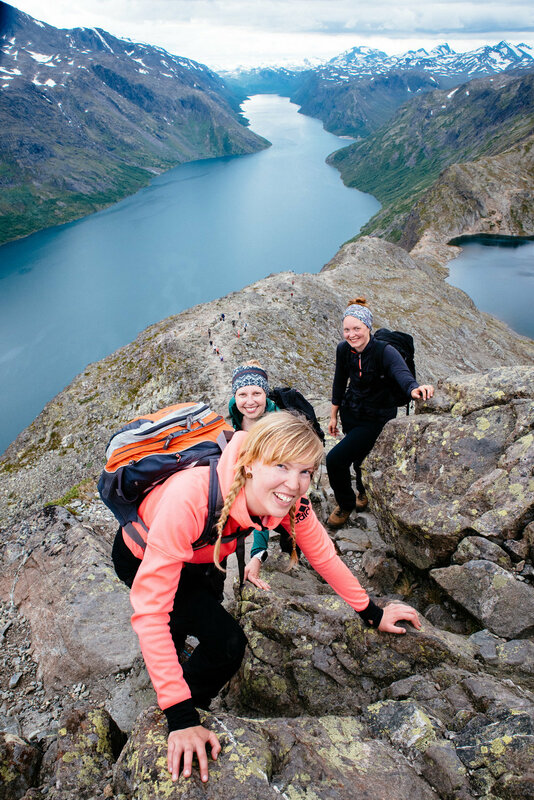 This is our TOP 3 recommendations for best easy/intermediate ridge hikes in Norway. Always remember to take appropriate gear with you when you go for a hike and remember to enjoy! Segla is a easy day hike with amazing views. The Segla is basically combination of a ridge, a mountain and a cliff! The steep drop to the ocean is dramatic. Segla is also more peaceful (for so far!) than the other two ridge hikes on this list. This is also the most visited article in Approach North! Besseggen ridge is located in Jotunheimen National park and the ridge separates two lakes that have huge altitude difference. You can either hike the ridge and then take boat back or first take boat and then hike back to the mountain lodge / parking lot.